At Zacapa they say this is not true. The bottle changed in 2004 and Zacapa wasn’t with Diageo at that moment. The bottle is now transparent instead of the old dark. Perhaps sunlight has its influence on the rum on a molecular level. 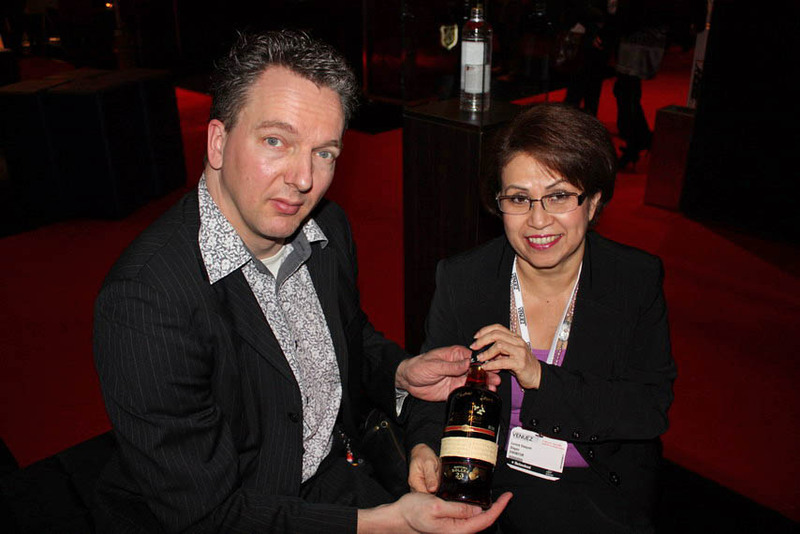 Recently Lorena had a tasting in London with old and new bottles of their rums. She could not find any differences. 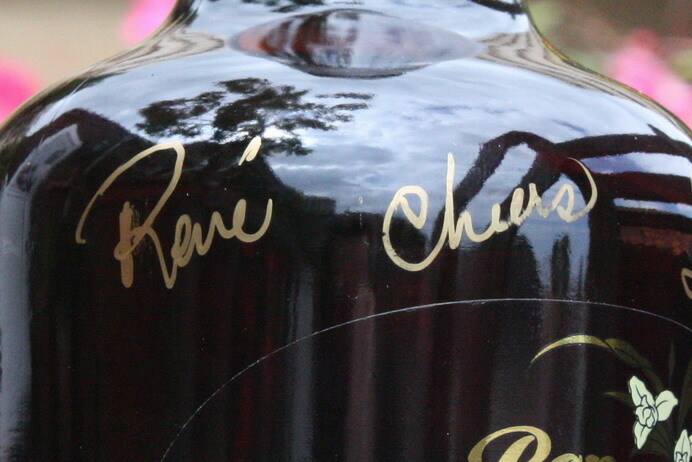 The outside of the bottles has had a big metamorphose in 2004, especially the looks. The bottle used to be entirely wrapped in royal palm leaf which was hand woven by the women of the Chorti community in Jocotan. 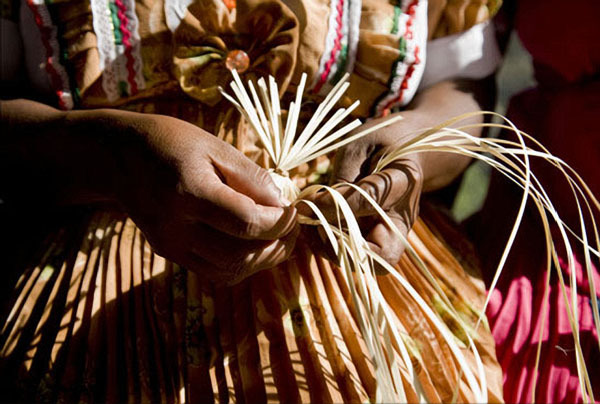 The use of the dried palm leaves (known as petate is a reference to the pre-classical Mayan era in 1400 B.C. This petate was first made as floor-mats for Mayan kings, who were the only ones entitled to use it. It was believed that sitting on a petate changes your whole view of the world and forces you to look at life with humility and to see things for what they are. Until 2003 there were only a few artisans who produced about 2000 bands per month. In that year (2003) a productive chain was created that allowed Jocotan to sell its artisan products. Now 350 artisans work here and produce 20.000 petate bands each month. This economic growth has raised the strength of women in the local community. The sustainability of this project is supported by the producers of Zacapa and has allowed these woman artisans to improve their quality of life. Other industries have followed suit and employed these workers to create other types of creations from petate. Finally, the bottling is done in the city of Mixco and so is the distribution. By doing all sort of processes in different cities, Zacapa Rum is integrated with the communities throughout the country. This is one of the reasons why there is a Petate around the bottle. It also symbolizes the unity of everything. 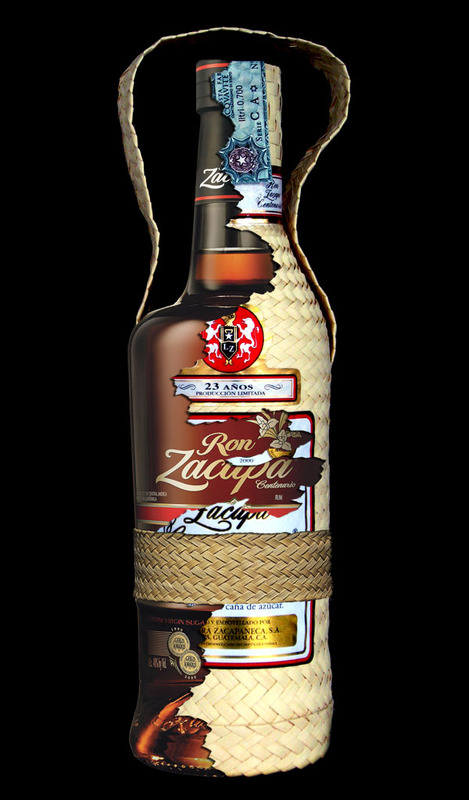 Since Zacapa is so closely connected to the land and culture it is appropriate that the woven band is placed on the bottles. Alas it is not known how many bottles Zacapa produces now per month or year. All they say, is they are a small company who won’t be growing suddenly just because they work with Diageo. At the time of the interview (1st April 2009) Lorena was 54 years old. She trained as a chemical engineer before joining Zacapa 2 years ago. 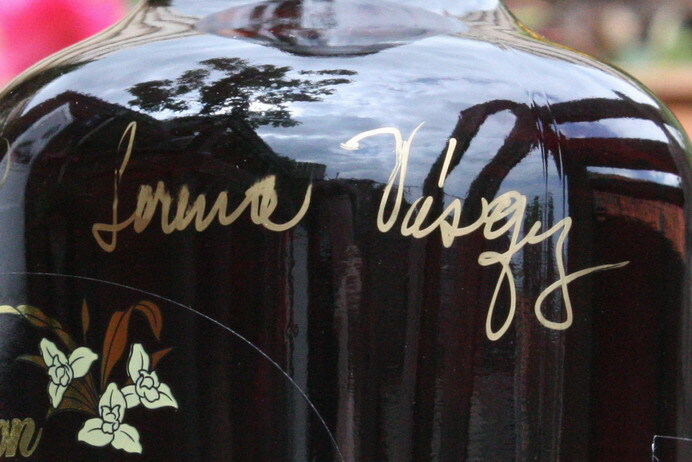 The history about how Lorena got to work at Zacapa starts as a love story. Born in Nicaragua she moved to Guatemala because she got married to a Guatemalan man. Later she got divorced which meant she needed to work for a living. Since she had a degree as Chemist she started to work for the distillery. The man was astonished. How could she know? She explained that the woman had the same smell as he has around him every now and then. Lorena finds satisfaction in her job, because she really loves to blend complex flavours. She could do this job in a whisky distillery. She knows and likes the flavours of whisky, but those in rums are completely different. The complexity in your mouth and nose is a different experience and there is a challenge in finding them. The raw basic ingredient is totally different thus is the end result. For Lorena, whisky was never something good; when she went to Scotland she wanted to explore everything on that subject. Now she can enjoy Whisky (Cragganmore is her favourite), but rum is still her number one. When she drinks whisky she is mostly a bit relaxed, but when she drinks rum her whole mind and soul are working. Rum and Whisky lovers have the same goal: to taste something sophisticated and unique. Both can be found in each drink. Many Malt Whisky drinkers also smoke cigars as do many rum drinkers. In the future there might be a release of Ron Zacapa Single Cask type rum on the market, similar to the many Single Cask types in the Whisky industry. To get this done, Lorena needs to keep some barrels with Rums from one year aside. 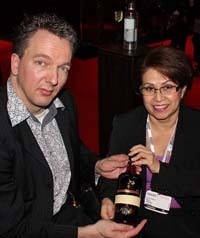 However, it might be a while before we see a Single Cask Zacapa on the market. 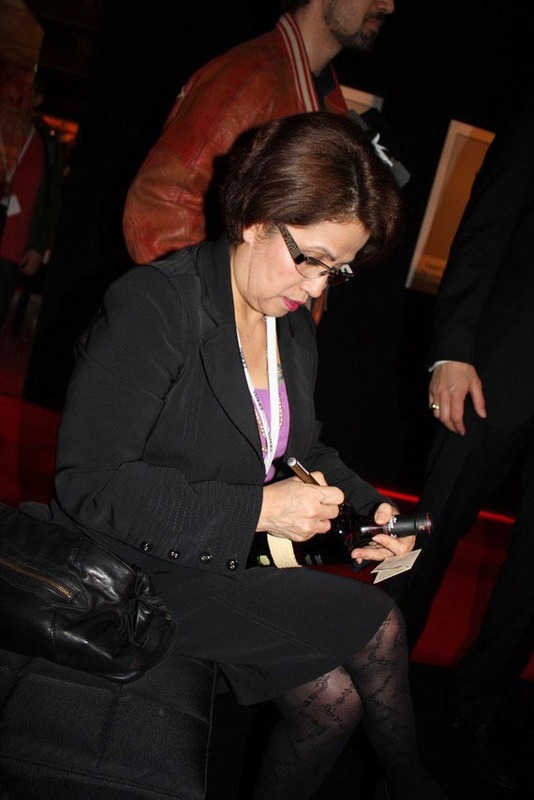 Finally Lorena signed a bottle for me with gold. Thank you Lorena. With Zacapa entering the Diageo portfolio, immediately there was a question about whether the supply can match the potentially greatly increased demand without changing the fundamentals of production. Since this product is not substantially reproducible (like Bacardi or Captain Morgan) they have to take care of their stock and the replenishing of it. Diageo has stated that if they meet their goals in this three year deal, they intend to (and/or would be entitled to) buy a large portion of the brand. This is standard procedure for Diageo as far as my sources can tell. 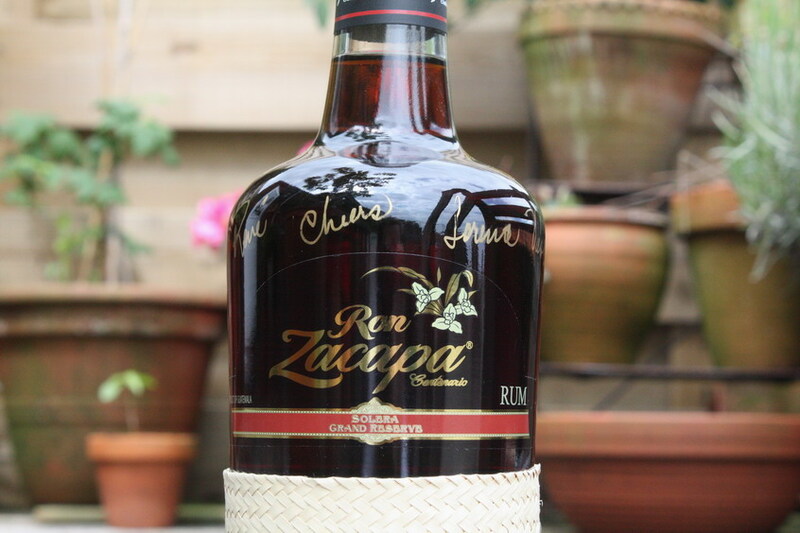 Discuss Ron Zacapa in the forums.